It wasn’t just his eyes. By all accounts, cinematographer Gregg Toland substantially contributed to the dazzling look of Citizen Kane. Yet, that was Welles’ only picture with Toland, but he continued to display a similarly dramatic visual sensibility in all his subsequent masterworks and masterpieces. 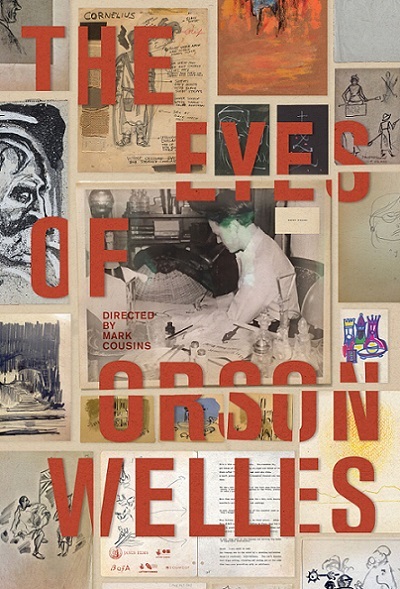 Cinema docu-essayist Mark Cousins speculates it all started with the original American auteur’s pen, ink, and sketchbook in The Eyes of Orson Welles, which opens today in New York. Cousins’ intention is never to compete with Chuck Workman’s competent documentary profile Magician: The Astonishing Life & Work of Orson Welles or They’ll Love Me When I’m Dead, Morgan Neville’s fascinating chronicle of Welles’ final film, The Other Side of the Wind. He sets out to make something more personal and impressionistic, but the discovery of a trove of the master’s sketches, drawings, and paintings gives Cousins a hook that will still pull in many skeptical Welles fans. To his credit, Cousins also has a sharp eye for visuals. At times, he is like a human google image search, drawing connections between Welles’ iconic film scenes, his graphic work, and the sights, locations, and media he would have absorbed at various stages of his life. 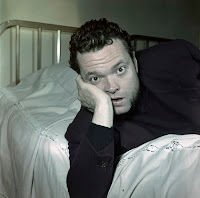 Most viewers will happily follow him that far, but he ventures out onto thinner ice when he starts offering more speculate psychoanalysis and even presumes to speak for Welles, via a fictional letter from the subject to his documentarian, during the final chapter. Still, Welles loyalists and traditionalists cannot object too strenuously, since his youngest daughter Beatrice Welles makes supportive appearances throughout Eyes. She seems to have a good sense of humor, which probably helps when you are part of the Welles family. Of course, it is always rewarding to go back to the Welles well, because his oeuvre, although frustratingly limited as a credited director, is still so rich and powerful. Arguably, Macbeth emerges as the surprise leader for screen time, whereas Magnificent Ambersons gets oddly cursory treatment (especially since Welles was so notoriously excluded from the final editing). Depending on one’s perspective, the idiosyncrasy of Cousins’ doc is either its greatest asset or detraction. He has clearly considered the Welles canon in holistic and cross-disciplinary ways, but he allows way too much of his personal subjectivity and bias into the film. That also rather needlessly drags things out. A tighter, more formalistic ninety-some-minute film would be much more effective than the current nearly two-hour cut, with its pointless “Citizen Trump” references. Sometime interesting and sometimes frustrating, Cousins’ Eyes of Orson Welles will be a decidedly mixed viewing experience for most classic movie buffs when it opens today (3/15) in New York, at the IFC Center.